WHY DO RAIN FORESTS HAVE SO MANY ANIMALS? Tropical rain forests support the greatest diversity of living organisms on Earth. Although they cover less than 2 percent of Earth’s surface, rain forests house more than 50 percent of the plants and animals on Earth. Rain forests have 170,000 of the world’s 250,000 known plant species. 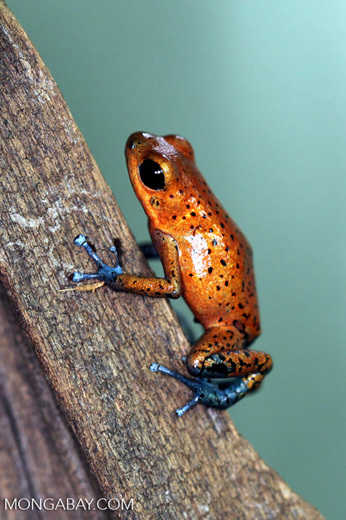 the United States has 81 species of frogs, while Madagascar, which is smaller than Texas, may have 500 species. An area of rain forest the size of two football fields (one hectare) may have more than 400 species of trees, while an equal area of forest in the United States may have fewer than 20. 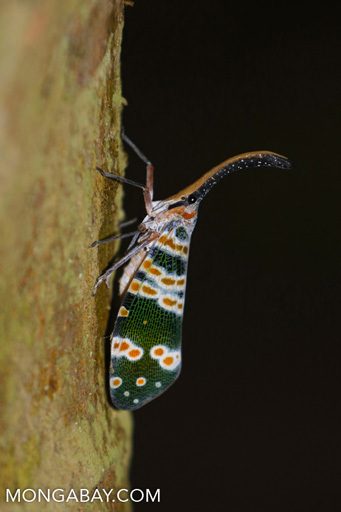 Europe has 570 butterfly species, while Manu National Park, a single reserve in Peru, has 1,300 species. Climate: because rain forests are located in tropical regions, they receive a lot of sunlight. The sunlight is converted to energy by plants through the process of photosynthesis. Since there is a lot of sunlight, there is a lot of energy in the rain forest. This energy is stored in plant vegetation, which is eaten by animals. The abundance of energy supports an abundance of plant and animal species. Canopy: the canopy structure of the rain forest provides an abundance of places for plants to grow and animals to live. The canopy offers sources of food, shelter, and hiding places, providing for interaction between different species. For example, there are plants in the canopy called bromeliads that store water in their leaves. Frogs and other animals use these pockets of water for hunting and laying their eggs. It is important to note that many species in the rain forest, especially insects and fungi, have not even been discovered yet by scientists. Every year new species of mammals, birds, frogs, and reptiles are found in rain forests. Tropical rain forests are home to many kinds of mammals, ranging in size from tiny mouse lemurs to the African forest elephant. 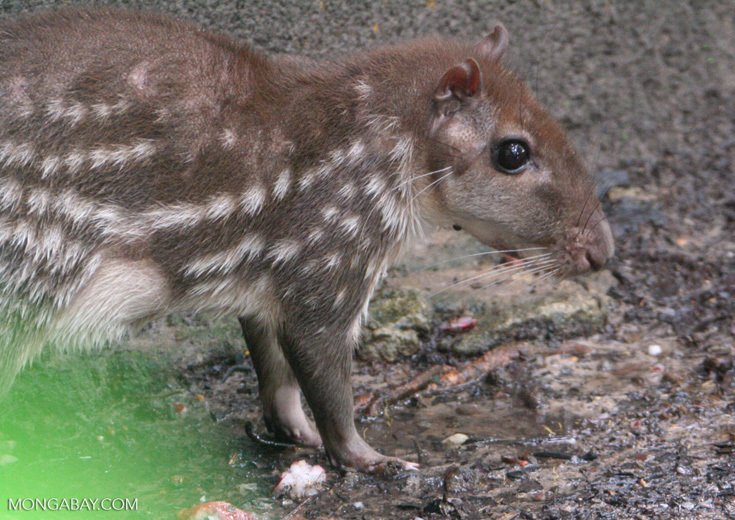 While large mammals like cats (tigers, jaguars, leopards, and small cats) and primates (including monkeys, apes, and lemurs) are best known, most rain forest mammals are small, nocturnal, and inconspicuous. Bats and rodents are the most abundant kinds of mammals in most rain forests. Tropical rain forests are home to many kinds of birds, including parrots, hornbills, toucans, and raptors like eagles, hawks, and vultures. Some migratory birds live in rain forests during the winter and return to cooler regions during the spring and summer. For example, many songbirds that nest in the United States winter in Central America or even the Amazon. Tropical rain forests are home to a huge diversity of reptiles (snakes, lizards, turtles, tortoises, and crocodiles) and amphibians (frogs, toads, salamanders, newts, and worm-like caecilians). 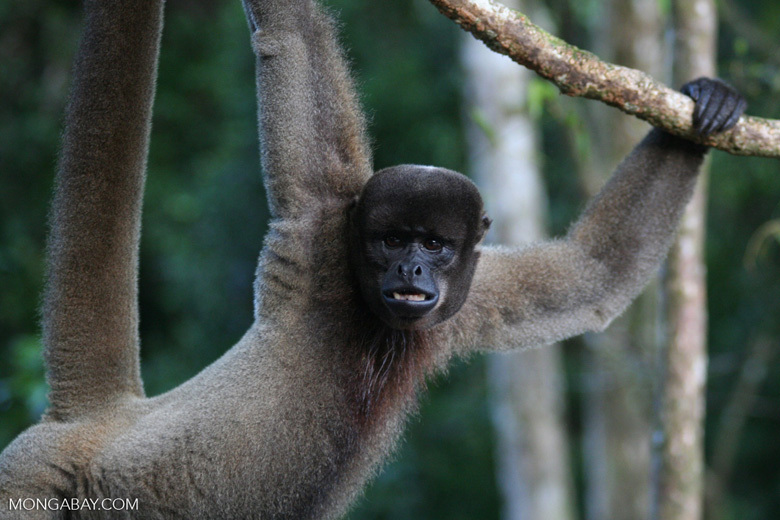 These are found in virtually all rain forest habitats, ranging from the high canopy to streams and creeks. Collectively, reptiles and amphibians are known as herps. Unfortunately, many herps are threatened by habitat loss, the pet trade, and environmental change. Amphibians are particularly at risk from a deadly disease that is spreading around the globe. The disease has already caused the extinction of at least 170 species of frogs and toads over the past 30 years. Scientists have not yet pinpointed what is causing the outbreak or how it can be controlled. Emergency measures have been implemented for some endangered species, which are being collected and kept in zoos, aquariums, and botanical gardens until a cure can be found. Tropical rain forest waters—including rivers, creeks, lakes, and swamps—are home to the majority of freshwater fish species. 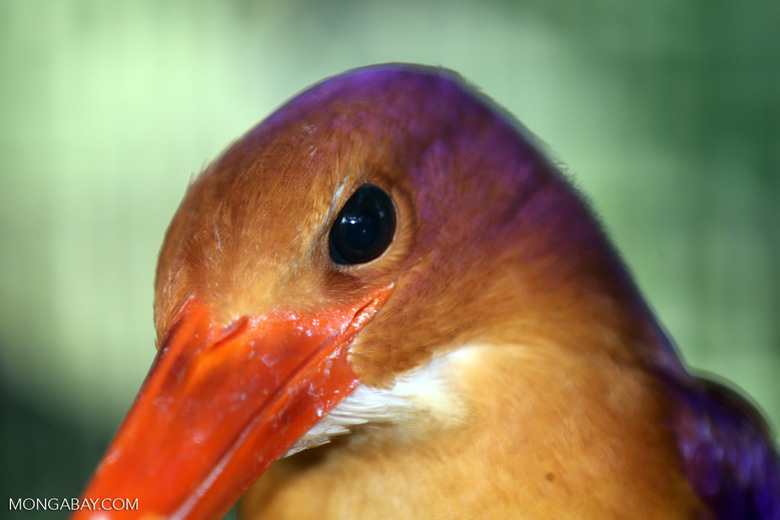 The Amazon Basin alone has over 3,000 known species and possibly as many unidentified species. 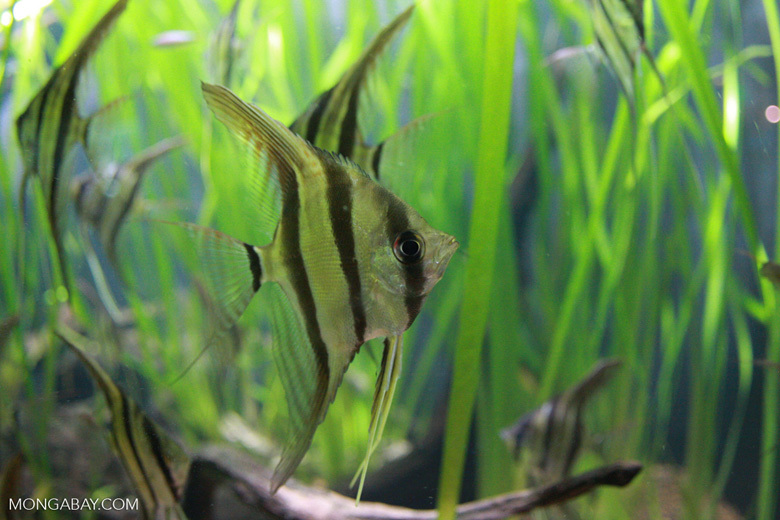 Many of the tropical fish kept in freshwater aquariums are originally from the rain forest. 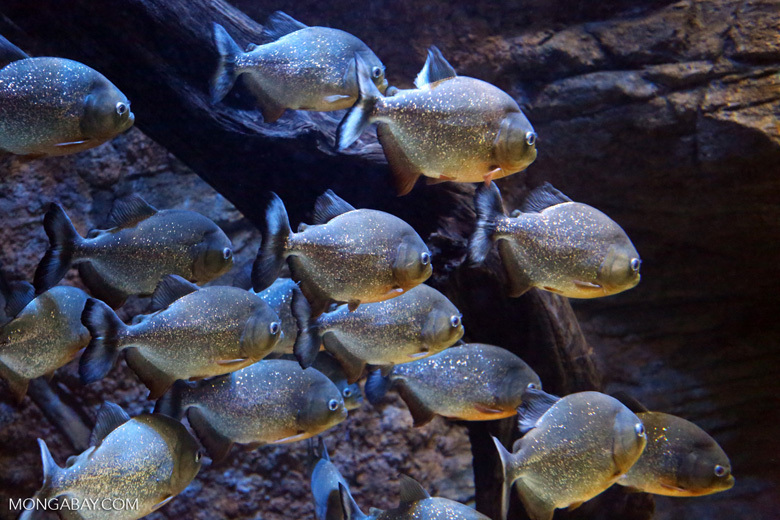 Fish like angelfish, neon tetras, discus, and common algae-eating catfish come from the tropical forests of South America, while danios, gouramis, Siamese fighting fish (or Betta), and the clown loach are from Asia. Most of the animal species found in the rain forest are invertebrates, including insects, arachnids (such as spiders and scorpions), and worms. Amazingly, about one quarter of all animal species that have been named and described by scientists are beetles. More than 500,000 kinds of beetles are known to exist, many of them from the world’s rain forests. Rain forest invertebrates come in an incredible array of sizes, ranging from organisms that can sit on a pinhead to the goliath beetle of Africa, which can weigh nearly a quarter of a pound (110 grams). Some Bornean stick insects—which are experts in disguise—can attain a length of more than 20 inches (50cm). Because plants grow year round in the tropical rain forest, they must continuously defend themselves against many types of predators. Their defenses are usually mechanical or biochemical. 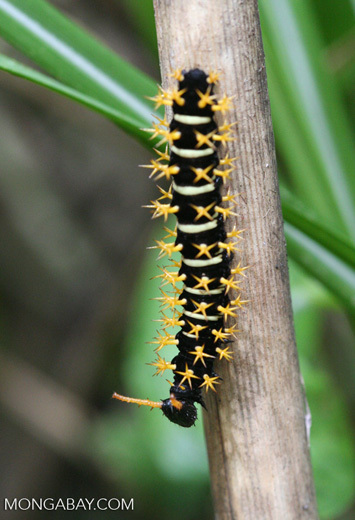 Mechanical defenses include thorns, spines, and stinging hairs. Biochemical defenses include compounds that are poisonous or cause skin irritation (like poison ivy or poison oak) or make their leaves taste bad. In response, some insects have adapted to these compounds by eating certain types of plants that normally taste bad or make other insects sick. Some of these specialist insects use such plant compounds to generate their own toxins, which in turn, make them poisonous or foul tasting to other predators. But that’s not all: the cycle sometimes continues up the food chain. For example, poison dart frogs—named because they produce toxic compounds used by rain forest people to make hunting arrows poisonous—get their poison from the insects they eat. Poisonous animals—like dart frogs—are often colorful. 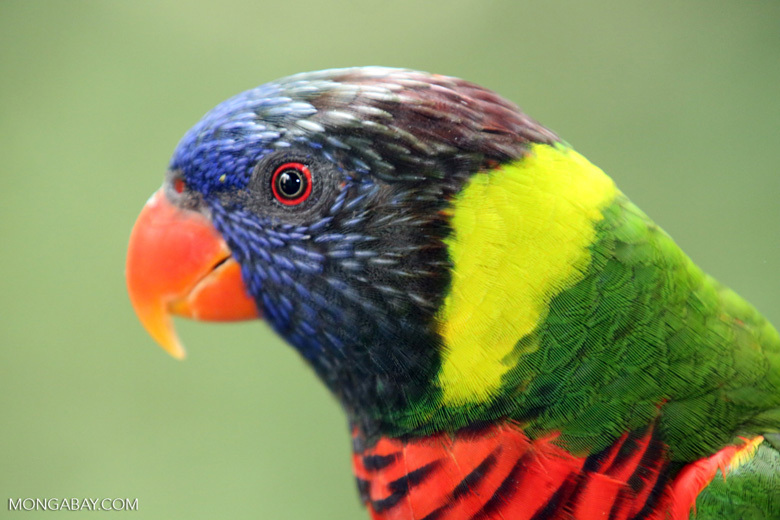 Their bright colors serve as a warning to predators, telling them to stay away. It only takes one or two mistakes by a predator eating the wrong prey and getting very to learn to avoid a toxic species. 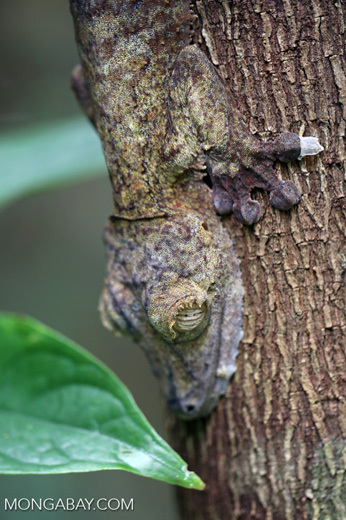 Many rain forest species, however, use the opposite approach: camouflage, which allows them to blend into their surroundings to avoid detection. 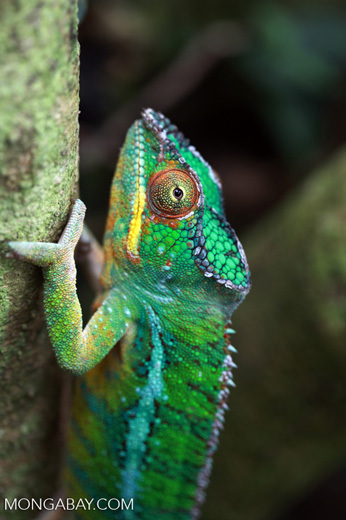 Insects, amphibians, reptiles, birds, and even mammals—like big cats—rely on camouflage to disguise themselves from predators or to sneak up on prey. The forest floor of old-growth rain forest is rarely the thick, tangled jungle seen in movies and adventure stories. It is usually relatively clear of dense vegetation due to the deep darkness created by the canopy. So instead of choking vegetation, a visitor to the rain forest will find large tree trunks interspersed with hanging vines, countless seedlings and saplings, and a relatively small number of ground plants. Because rain forest trees are in a constant battle for access to sunlight, they grow straight and tall, only branching near the top of their long, pole-like trunks. Because of the intense sunlight in the tropics, many plants have adapted to living in the canopy. Some of the most common are epiphytes, which are plants that attach themselves to trees. In some forests epiphytes can be very abundant—over 2,000 epiphytes may be found on a single tree. While the idea of a plant that lives on another plant may seem strange, many house plants are by nature epiphytes. Well-known examples include bromeliads or “air plants” and some kinds of orchids. Rain forests have a huge variety of tree species. It is not unusual to find more than 200 different types of trees in a couple of acres of rain forest. Diversity protects species. A species that becomes too abundant in natural forests faces the threat of a predator adapting to exploit its abundance. For example, in the Amazon the failure of rubber tree plantations, where only a single species is grown, is due to a fungus that feeds on the tree. In the natural rain forest, rubber trees are widely dispersed so the fungus can never wipe out more than one individual tree at a time. That’s why plantations and single-species agriculture are so susceptible to pests and require toxic chemicals.